Must be at least 40"
Stitch is on the loose in this “theater-in-the-round” that’s a treat for your eyes, ears and nose—available seasonally throughout the year. This ride now only operates seasonally as of Oct. 2, 2016. It will only be open seasonally. As a newly appointed security recruit, prepare for a close encounter of the mischievous kind with a runaway Stitch. Amid a row of blinking monitors, begin your intergalactic training session with an eye-opening welcome video and discover what it means to be a guard with the Galactic Federation Prisoner Teleport Center. Step forward and learn how the science of prisoner teleportation works from a helpful Audio-Animatronics robot named Sergeant. A mysterious high-security Level 3 prisoner has been captured and is due for arrival! Because Level 3 aliens can be quite dangerous, make your way to the High Security chamber to assist with the incoming teleportation. Inside the High Security Prisoner Transport Chamber, take a seat around a floor-to-ceiling tube. 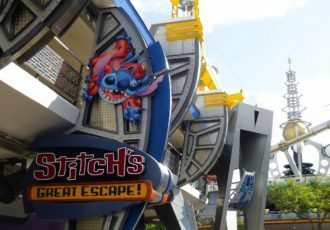 As the teleportation begins, the prisoner is revealed to be none other than free-spirited Stitch, who naturally manages to break out of the transport chamber and wreak havoc throughout the audience in the dark! This attraction is a multi-sensory experience featuring audio, video, olfactory and Audio-Animatronics special effects. While the experience is appropriate for all ages, the show takes place in a darkened theater and there are several surprises and loud noises throughout the performance. Starring characters from the Disney animated film Lilo & Stitch, the attraction is actually a prequel that follows an early adventure of Experiment 626 before his close encounter with Lilo in Hawaii. 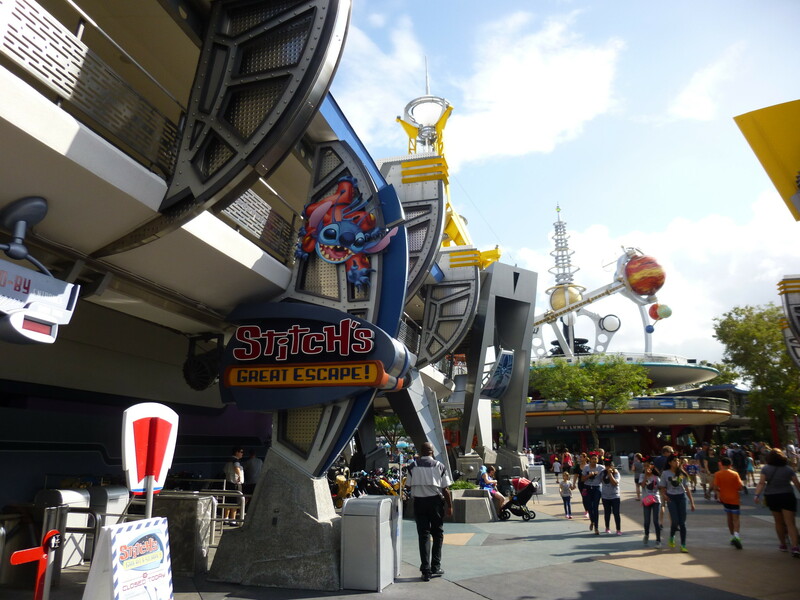 This attraction took the place of ExtraTERRORestrial Alien Encounter, which opened in 1995. Both attractions used a theater-in-the-round format and science-fiction elements, although the storyline for Alien Encounter was considered more intense. The latest version includes an audio-animatronic version of Stitch. Prior to that, Mission to Mars was housed in this location. Mission to Mars also utilized the theater-in-the-round format with round screens on the ceiling and floor in the center of the room, meant to be windows where you can watch as your "ship" leaves Earth and then lands on Mars.